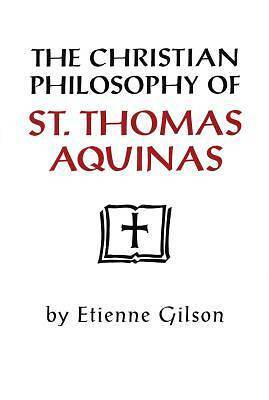 In this final edition of his classic study of St. Thomas Aquinas, Etienne Gilson presents the sweeping range and organic unity of Thomistic philosophical thought. The philosophical thinking of Aquinas is the result of reason being challenged to relate to many theological conceptions of the Christian tradition. Gilson carefully reviews how Aquinas grapples with the relation itself of faith and reason and continuing through the existence and nature of God and His creation, the world and its creatures, especially human beings with their power of intellect, will, and moral life. He concludes this study by discussing the life of people in society, along with their purpose and final destiny. Gilson demonstrates that Aquinas drew from a wide spectrum of sources in the development of his thought-from the speculations of the ancient Greeks such as Aristotle, to the Arabic and Jewish philosophers of his time, as well as from Christian writers and scripture. The Christian Philosophy of St. Thomas Aquinas offers students of philosophy and medieval studies an insightful introduction to the thought of Aquinas and the Scholastic philosophy of the Middles Ages, insights that are still revelant for today.